ROMANCE BOOK PARADISE: Author Talli Roland sharing with us today! Author Talli Roland sharing with us today! Please welcome Talli, and let's see her processes! Everything I Learned About Writing, I Learned from Friends. Okay, obviously not everything. But my incessant watching of Friends (I don't care how many times I've seen each episode, it's still funny) has actually taught me a lot about characterization, pace and plot. Every character in Friends is different and distinct, with their own foibles and quirks. Monica likes to clean; Chandler fears he's gay; Ross gets divorced; Rachel’s into fashion and shopping; Phoebe's kind of ditsy – and poor Joey's not the brightest bulb. Everything they say and do supports their characterization perfectly. An episode of Friends usually starts off in the coffee shop. Then, something happens to upset the norm and the characters must fight against it, accept it or adjust to it. By the end of the episode they're back at the coffee shop, equilibrium restored. We're never subjected to the boring bits (sleeping, eating, getting up, etc. ); everything we see relates in some way to the plot and is there for a reason. In short, it's everything I need to keep in mind for my own writing. I knew there was a reason I liked it so much! Can Mattie confront her past to get the prize money she so desperately needs, or will her exes finally wreak their long-awaited revenge? 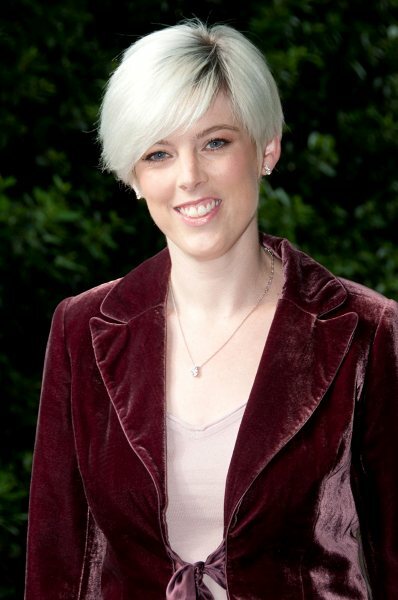 And what about the ambitious TV producer whose career depends on stopping her from making it to the end? Available on Amazon (US) and Amazon (UK) in both paperback and Kindle. For twenty-five-year-old Willow Watts, life has settled into a predictably dull routine: days behind the counter at her father's antique shop; nights watching fuzzy telly whilst the elderly residents of Britain's Ugliest Village bed down for yet another early night. But everything changes when Willow's epically embarrassing Marilyn Monroe impersonation is uploaded to YouTube. A canny viewer spots Marilyn's ghostly image hidden in the film and Willow becomes an international sensation. Her dire little town is suddenly overrun with fans proclaiming her to be the 'new Marilyn'. 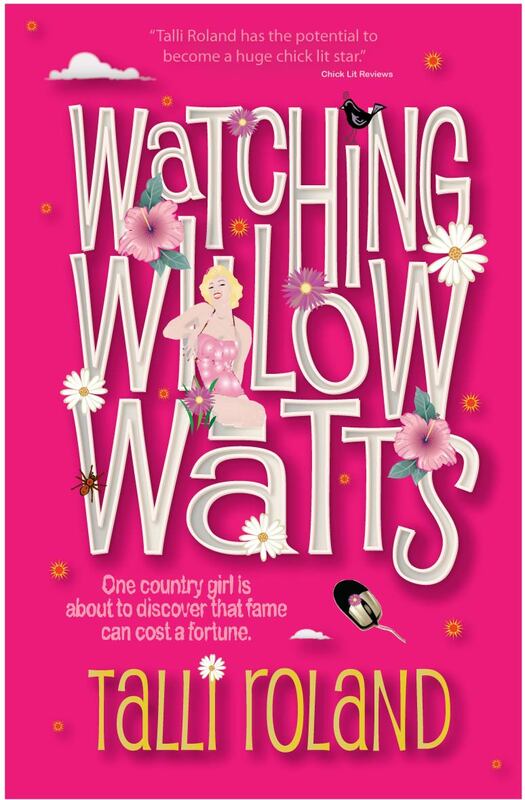 Egged on by the villagers - whose shops and businesses are cashing in - Willow eagerly embraces her new identity, dying her hair platinum and scoffing cakes to achieve Marilyn's legendary curves. But when the only man she has ever truly loved returns, seeking the old Willow, it's decision time. Should she risk stardom and the village's new-found fortune on love? Or is being Marilyn Willow's real ticket to happiness? Pre-order the paperback. Talli Roland has three loves in her life: rom coms, coffee and wine. Born and raised in Canada, Talli now lives in London, where she savours the great cultural life (coffee and wine). Despite training as a journalist, Talli soon found she preferred making up her own stories – complete with happy endings. 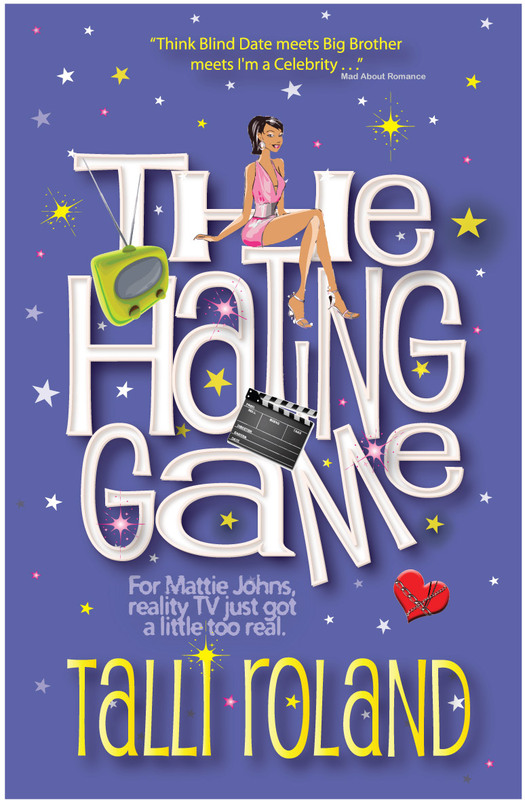 The Hating Game is her first novel and she is currently working on her second, Watching Willow Watts. Talli blogs here and can be found on Twitter here. Your books sound intriguing, Talli. Are they written in the first or third person? They sound a bit "chick-littish," from the descriptions -- which is why I ask. Big thanks to Nas for hosting me today! Azarimba, thank you. Yes, my novels fall into the chick lit genre, although they do have a darker element to them most traditional chick lit doesn't. They are written in third person, though, as I tend to use multiple POVs. I do miss Friends. Great show, and great article! @Azarimba, thanks for coming by! @Paul, thanks for liking this article! Great blog, Talli! I am a HUGE friends fan too and totally agree about the plotting of each episode. All the elements are there, everytime. Both books sound wonderful! And I'm a Friends fan, too! Lot's of quirky good stuff on that show! Great interview Talli - love the sound of your books. And friends? One of my fav's. Who can forget Ross trying to squeeze back into those leather pants? Love the interview, Talli! I'm a huge Friends fan, too. Hi Paul and Rachel, I'm glad you both agree. I love 'Friends' - thank goodness it's on almost every hours of the day here in the UK so I can get my fix! Wendy, yes. Loads of quirk on the show, which I suspect is why I like it so much. Deniz - yay! Quebec wine, my favourite. There were lots of quirky characters on Friends. Good stuff, Talli! Thanks, Alex! I appreciate you dropping by! I loved the covers of your book.. and of course, the blurb too! Great point about characters being true to themselves. Great covers! What I loved about Chandler is how unique his speech pattern was. It's impressive that everyone had a distinct personality and voice. I can see how The Hating Game could be influenced by the show because you created distinct, well-rounded characters. Can't wait for Watching Willow Watts. Yay!!!! Hello Talli and hello Nas Dean!! Thank you for this fab post! Yay for deconstructing Friends for writerly purposes!!! I love Friends too! Such smart humour :) And those are really great lessons to learn from the show! I always enjoy Talli's comments on writing. She's a great writer, and I'm looking forward to her second book. Thanks for hosting her, Nas, and for stopping by my blog. Talli, It's so interesting that you analyzed "Friends." It had so much appeal to people of all ages, not just the young. One smart cookie, you. Nas, thanks for hosting Talli. I guess I should start watching Friends--never seen it. Love the pink Willow cover. Nas -- good guest to host on your blog. Thanks again to Nas for hosting me. I loved Friends. The reruns still make me laugh. Your books sound like a lot of fun. Good luck with your upcoming release. Sorry I'm late but I got on the wrong train! So do you think they will ever make a movie from the Friends TV show? Just wouldn't be the same and to tell you the truth these kind of movies seldom are very good. Looking forward to reading your books, my kindle....Oh how I miss it! Friends is my favorite show! I watch them over and over again too. They always make me laugh out loud no matter how many times I've seen the episodes! Hi Nas, Hi Talli - very apt and accurate depiction of 'Friends'!! An excellent example of varying characters and plots colliding. I just love Talli's covers--they're so fun, and stand out! Also, OMG, I'm so glad I'm not the only one who incessantly rewatches Friends. Every so often I'm like "It's been a while..." and I go through the whole series again. While feeling slightly like a loon for doing it, despite knowing the episodes like the back of my hand. ;) It's comfort TV--like chicken soup that makes you laugh! Thanks for coming by and all your lovely comments. My favourite ep of Friends is when Ross uses a teeth whitener, sits in dark and his teeth glows neon! Nice to see you here. LOVED reading about you and about your books. I was chuckling when I read the blurb about your first book, The Hating Game. I can't wait to read it! Thanks, Nas for yet another wonderful author to go on my TBR pile! Oh, yeah, I'm a huge fan of Friends, too!! I must confess I never stuck around long enough to 'get' Friends or Seinfeld, but I do understand how their structure would help writers. Oh Talli, your book sounds brilliant. Thanks for coming along to read about Talli and her books. I'm glad you all liked Talli! And thank you Talli, for being with us here and sharing!